It truly does not matter how well you can sing. It doesn't matter if you don't have whiz-bang recording equipment. 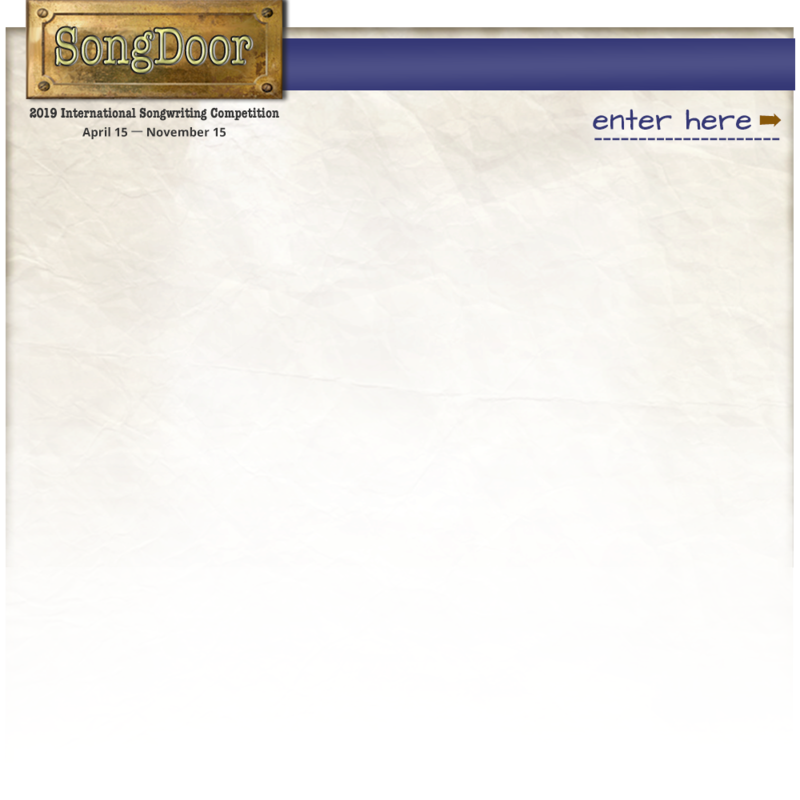 This is a songwriting competition, and it is the song that will be judged, not the performance or the production. The only exception is if you are interested in having your song placed in film or TV. We screen all entries for possible placement, but only those songs that are fully-produced and "ready-to-go" will be singled out for serious consideration. Learn more here. • Originality: Not an imitation or derivation, but unique in a fresh, interesting way that has your personal stamp on it. "Original" also means newly-created and not copied or “borrowed” or even sampled, and that goes for music AND lyrics. Look INSIDE yourself, not OUTSIDE; your song will be better. It is safe to say that a 1-4-5 CFG progression is not going to make it past the first round because it's been done a million times before. • Melody: Judges will look at the the overall “shape” of the musical themes, as well as the rhythm and the way the song moves. Pointers: do you absentmindedly sing harmony with this melody, even though there are no harmonic parts? Can you remember it after hearing it only a couple of times? Do you find yourself singing it in your head later in the day (i.e., is it an "earworm?") If you answered “yes” to those questions, you are in good shape. • Composition/Structure: While we don't necessarily lean toward favoring a particular style of song, we do want to help songwriters promote their songs — in whatever style they might be written — in an effort to help them make a living from their writing. That means we look at the commercial potential of the song, too. Pointers: Good structure and “writing to the hook” are always good marketplace rules to follow. Note: Long intros and instrumental solos turn off publishers big-time. • Lyrics: The judges are looking for flow, story/theme development, rhyming skill, emotional connection and how well the lyrics marry with the music. Pointers: Clever lyrics do not substitute for a good melody. Don't pen lyrics just so the rhyme will fit. Tell a story; have a beginning, a middle and an end. Avoid clichés at all costs - find another way to say it!